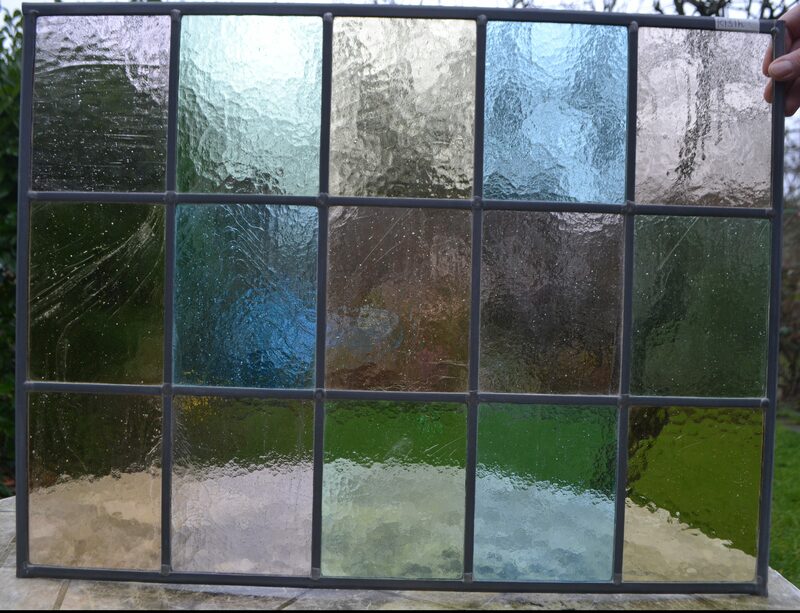 This is a panel made with new glass and lead by a traditional leaded light maker in December 2017. This page shows the glass against different backgrounds. The same panel can be made to your size so please send me your measurements for a price. Estimated production time from when deposit paid is 3 – 5 weeks.